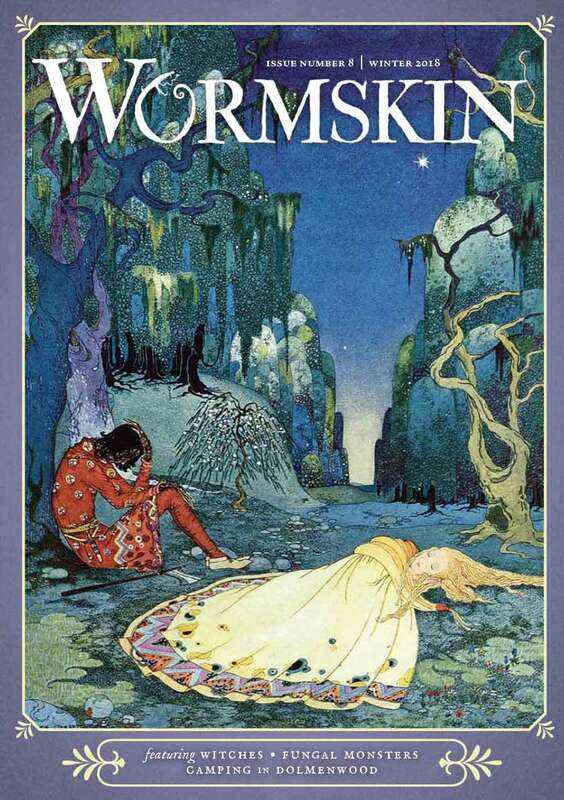 In Wormskin 8 +Gavin Norman details the Witches of the Dolmenwood (introduced in Wormskin #7). They are the inheritors of a strange magic that goes to the very essence of the Wood’s history and creation. Sounds like my kind of witch! In these 12 pages, he details this new witch tradition and their patron Gods, The Gwyrigon. A lot of what he has here can be mapped on to my witch class with little to no effort. No surprise I think since we are looking at similar source materials for our witches. The Gwyrigon Tradition of Dolmenwood. AKA Witches of the Wood, The Sisters of the Chalice and the Moon. These witches and this tradition are detailed in Wormskin #8. Least (1st level) Familiar: These witches gain a familiar in the form of hare or rabbit. These rabbits are long lived, intelligent and can speak to any witch. While a rabbit may seem like an odd choice for a wood as dangerous as Dolmenwood but it actually a testament to the powers of the Gwyrigon that their chosen messengers seem so weak but can pass unmolested in these woods. Lesser (7th level) Magic of the Wood: The witch can cast the following spells once per day without need of preparation, charm person, augury, remove curse. Minor (13th level) One with Wood: When the witch pledges herself to a particular Wood God she gains a greater measure of their power now. The powers of Errta, Hasturiel, and Limwdd are detailed in Wormskin #7 (p. 62). Medial (19th level) Commune with the Wood: The witch can enter into a trance to commune with the spirits of the wood; the gwyrigon, though others can be communed with. This divination allows the witch to learn anything (GM’s discretions) that happens in the Dolmenwood. This even alerts the witch to malign creatures in the wood such as undead and beings from outside of reality. Major (25th level) Remove Malign Influences. The witch can place on one subject (or herself) the combined effects of Aid (2nd Level Cleric spell), Remove Curse (3rd Level Cleric spell) and Healing Circle (5th Level Cleric spell, target only). The total benefits are +4 to attack, +4 to saves involving fear, +6 to any ability, 19+1d6 additional temporary hit points and heals the character for all but 1d8 hit points. This lasts a number of hours equal to the witch’s level. Superior (31st level) Timeless Body: The witch appears to stop aging and her effective lifespan is doubled. She also can’t be magically aged. Any penalties she may have already incurred remain in place. The witch still dies of old age when her time, doubled as it is, is up. In the rare cases when witches and Drune (Wormskin #5) work together they form a Grand Coven as per the rules in The Green Witch. During the harvest festivals, the witch will gather rushes and other bits of discarded plant life from corn, wheat, and barley. What many do not know, but the witches know all too well, that the spirits of the harvest remain in these discards. 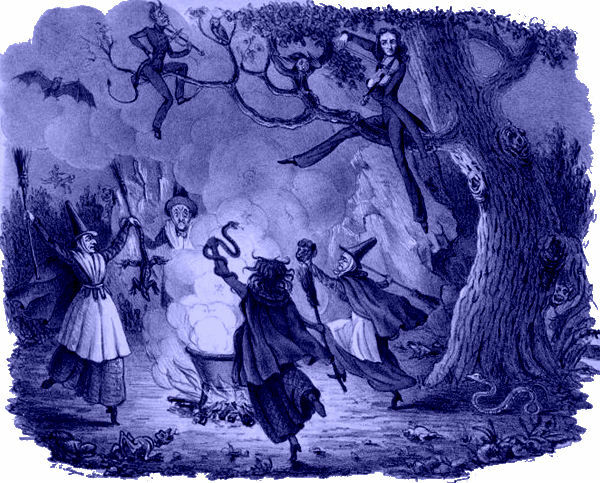 With a ritual and a repeated rhyme, the witch can fashion a rough poppet that the witch can then animate. This corn dolly can then be sent out to spy for the witch. With concentration, the witch can hear through this dolly. The range is limited to 100 yards + 10 yards per level of the witch. The dolly can’t move, it has to be placed by the witch. The dolly has 2 hitpoints and takes double damage from fire. Material Components: Rushes from the previous harvest festival. Material older than a year will not work. Once complete the Woodgrue is freed to return to where he likes. The witch can only summon one woodgrue at a time. Continual repeated summoning of woodgrue may be looked down upon by the Gwyrigon (ie. the Game Master) and be denied. Material Components: A cup of single malt whiskey.